The Performing Arts are a strong and vibrant part of the Carey culture. 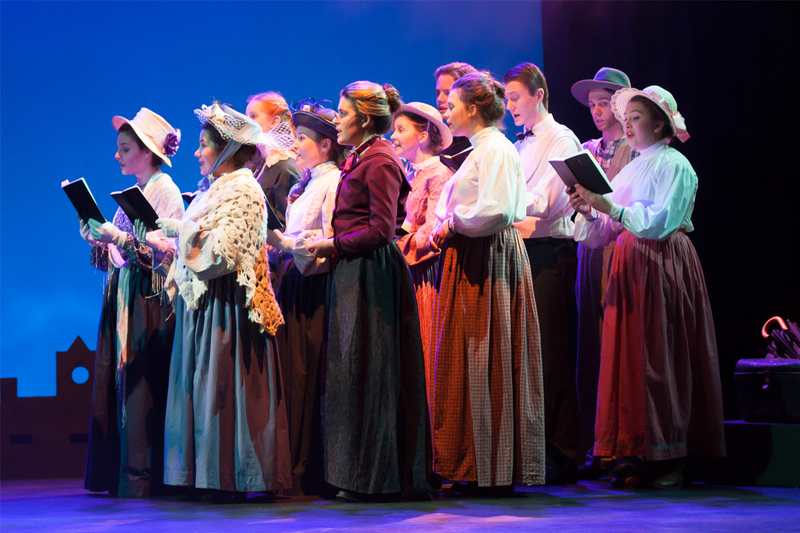 We have a proud tradition of producing high quality performances in both theatre and music, and many Carey students continue to pursue their passion for performance beyond their school years. Our productions and musical events draw our community together in celebration. The Performing Arts program at Carey goes well beyond classroom drama and music. Whether it be on stage acting, singing or dancing in one of the many plays or musicals; backstage learning the art of stage make-up, costume design, set design, lighting or sound; taking on the role of student Director; or in the orchestra pit playing beautiful musical scores, there are opportunities for every area of theatrical interest.